How do you go from the first spark of a musical idea right the way through to a finished recording with a live film orchestra? There’s so much to know, so many steps along the way. It’s even hard to know what you don’t know. But for many composers this is the goal. 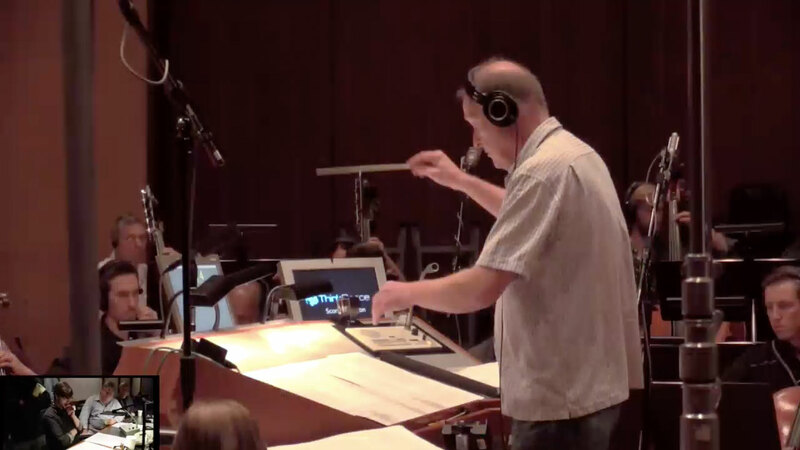 To write music for high end film and video games recorded with a live orchestra. To be able to conquer this workflow and confidently pitch for work doing what they love. The barrier to entry in terms of knowledge and skills is very high. DAW to Score is the first step on this journey. 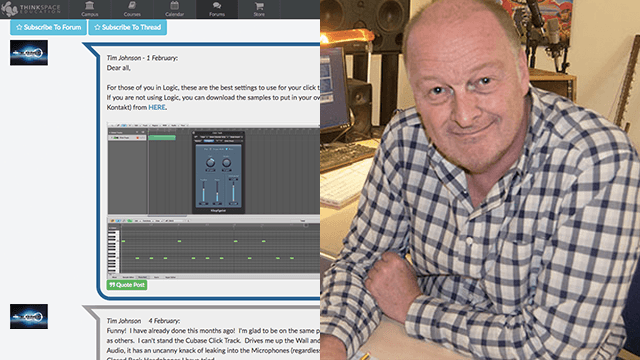 Join award winning composer Guy Michelmore as he walks you through the whole process from start to finish, from DAW to Score. It shows you the process used by film and games composers the world over, step by step. It joins the dots and lets you see the whole picture in a new way. Starting work first thing in the morning, the demo is written and recorded by the afternoon. Then we walk through score prep, tidying up the midi and audio. Now off to LA to meet the orchestrator and finally onto the legendary Warner Bros scoring stage to record the finished track. Follow along as you write your own music. Use it as a checklist to uncover the knowledge gaps that you need to fill in. Watch it to get that vital overview of the whole process from start to finish. Join our dedicated community forum to share your tips and tricks. Enrol Now – Follow composer Guy Michelmore on his journey from musical idea to live orchestra! Daw2Score Trailer.new from ThinkSpace Education on Vimeo. The workflow adopted by the majority of top end film and games composers. The process and techniques composers use all the time and the choices they make. How to write a great sounding sampled mock-up that translates well to live players. Tidying up pre-recorded audio ready for a studio recording. Orchestrating a cue from MIDI for 60 live players. The process of recording a live orchestra from the composer’s perspective. A simple approach to mixing live orchestral music. We cover all the topics above as an introduction and overview. To really nail these skills, look at our range of in depth Premium and even Degree courses. This course is relatively quick – you can do it in a weekend if you put your mind to it – but the value in terms of insights and what it reveals about your own readiness, is deep. The knowledge-gaps it reveals can make the difference between success and failure and frankly the sooner you see where your roadblocks are, the sooner you can start to overcome them. This course is specifically for composers whose long-term goal is writing top level music for films and games, particularly with live orchestra. Wherever you are in that journey right now, DAW to Score will give you fresh insights into the process and help you plan your own career path. You will also get all the MIDI files, the scores and the final stereo mix, plus 5 hours of videos with Guy, the rest of his team and of the complete final recording. This is how the day in the life of a working composer often begins. A hot beverage, a cheery sense of optimism and absolutely no idea what he or she is about to write. It seems daunting but that doesn’t mean you can’t learn to do it too! Learn how to prepare your project for orchestration and the often overlooked files you absolutely MUST include. Orchestrator extraordinaire, Charles ‘Chuck’ Fernandez, walks you through the finished score and how you get from the MIDI file to a playable orchestral score. Day 3: The Live Session! See the culmination of all of hours of composition time and a collaborative effort of lots of people. With tips and tricks on how to get the best from an orchestral session. Guy gives you the tour of what files you’ll get from your orchestral session plus a short example of how to get a decent sounding mix in a very short amount of time. Guy Michelmore is a multi-award winning film, games and television composer who’s clients include Marvel, Disney, Dreamworks, Lionsgate and dozens of major TV networks around the world. He’s best known for his work with Marvel on eight animated feature films including Ultimate Avengers and Thor, as well as hundreds of episodes of television including Avengers: Earth’s Mightiest Heroes, Iron Man: Armoured Adventures, Hulk and many more. He is renowned for his speed of working and this course gives you an insight not only into his compositional template but also his workflow. Post your music in your exclusive forum to receive feedback on your work from some of our experienced premium course tutors. You can also ask for feedback from any other students currently enrolled on the course, as well as offer your point of view on other people’s work. $170 – Low cost single payment! You need access to a reliable broadband internet connection to stream the course materials, preferably 5Mb/s or better. We need an active email address that can receive emails from us. Course materials are only streamed. You’ll need a fairly capable machine to match Guy’s set up. At least a quad-core computer with 16GBs of RAM. The techniques are still transferrable to smaller workflows however, so, as long as your processor is up to scratch, your only limit to how many virtual instruments you can load is how much RAM you have installed. You don’t necessarily need to be able to sight-read, but a basic understanding of notation and reasonable understanding of how instruments interact with each other within the orchestra is a good idea! The video material totals at over 5 hours, however you can watch them in whatever sitting suits you best. My name is Bradley and I’m the student support manager here at ThinkSpace. If you have any questions that you’d like answering, please don’t hesitate to fill in the contact form below, or email me at contact@thinkspaceeducation.com.